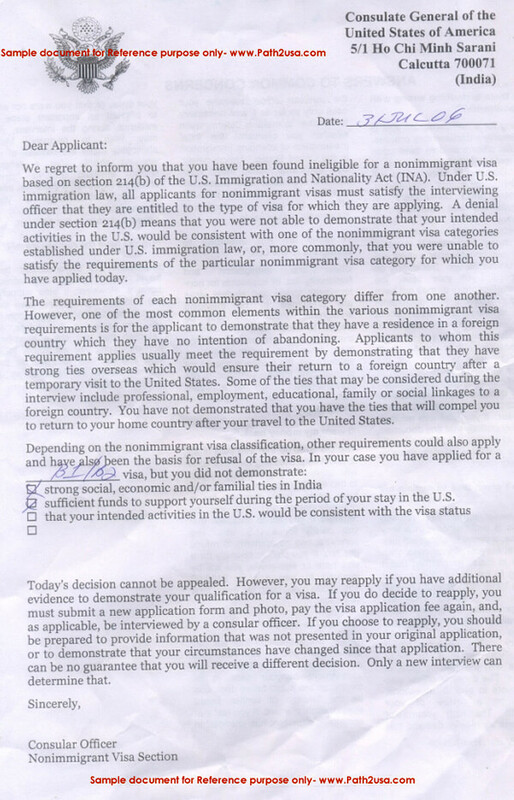 Following is a sample US visa application denial letter under 214(b) visa refusal. When a non-immigrant visa application such as visitor visa or tourist visa application does not meet the US visa requirements, the US visa application may be denied. The sample below is for reference purpose only. The appearance, color, or content of this may differ and is subject to change by the issuing authority.